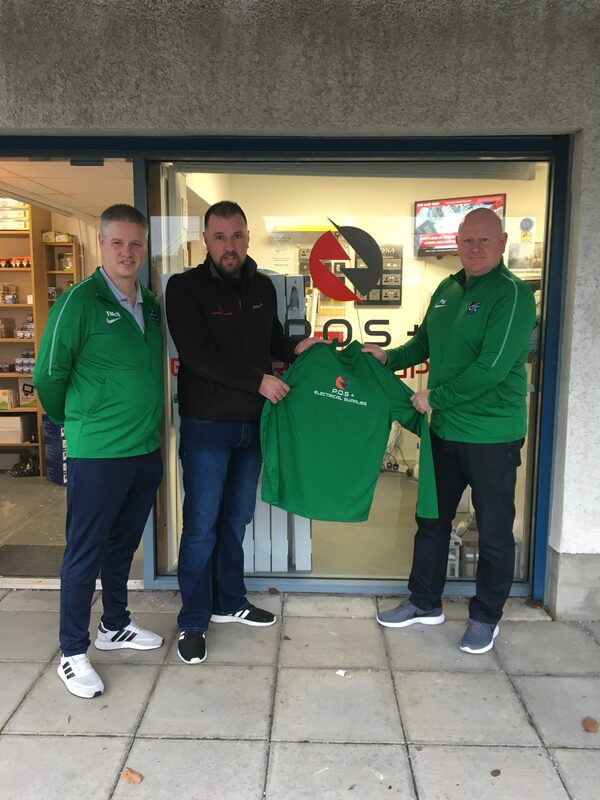 Downpatrick FC is pleased to announce a new sponsorship deal with POS & Electrical Supplies which is situated at the Business Park on the Belfast Road. 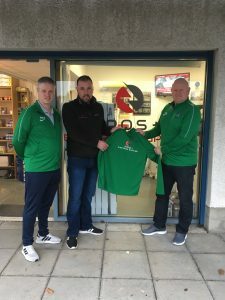 Owner Danny Sharvin is delighted to sponsor the tracksuits for the 1st Team and the U19’s. Giving something back to the local community is something which Danny feels passionately about and everyone at the club is grateful for his kind sponsorship, we would like to encourage our members and supporters to check out their website and support them. This first team have a free week this Saturday. The ladies switch their training nights, from this Wednesday they will meet at the Downshire Car Park at 7pm, players are asked to wear trainers. Then on Monday 21st January in the Function Room of Murphy’s Bar & Restaurant for circuit training, please bring £3.00. All old and new players are welcome. The under 19’s play North End United on Saturday morning at the Henry Jones Pitch, this match kicks off at 11.00am. 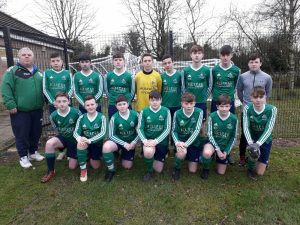 The under 17’s progressed to the next round of the cup after beating Larne on Saturday morning 2 – 1, the goals were scored by Ethan Artt and Conor Dornan. This Saturday they play Rathcoole on Saturday morning at the Lough Moss Pitches with an 11.00am kick off. 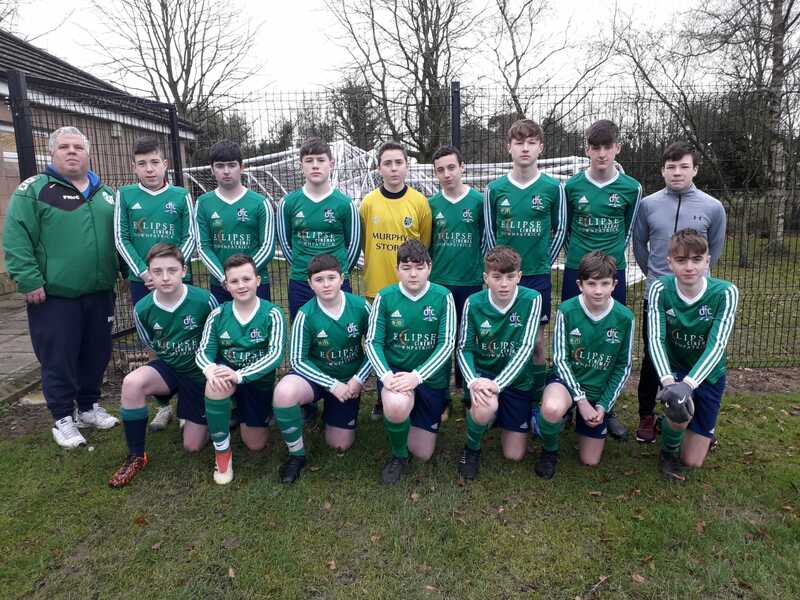 The under 15’s defeated Ballynahinch Olympic comprehensively on Saturday morning in their pursuit to wrap up the league title, the goals were scored by TJ Hill & Nathan McAllister both hat-tricks, Jack Rogan brace and Max Stevenson. This Saturday they play Kilmore Rec at Dunleath, this game kicks off at 10.50am. The under 13’s drew 3 all with Banbridge Town last Saturday morning. This week they play Hillsborough Jets at Glenmore, the match kicks off at 11.15am. The under 12’s (2007’s) played Hillsborough Juniors on Saturday in a highly entertaining game with the Hillsborough players scoring the only goal of the game five minutes before the end. This Saturday they play Enzo FC at the Leisureplex this Saturday, the match kicks off at 10.00am. The 2008’s played Cliftonville on Saturday morning winning 4 – 2, with Downpatrick’s goals coming from Oisin Hanna brace, Shay Holland and Eoghan Convie. This Saturday they play Lisburn Youth Colts at Belvior BB 3G Pitch, this match kicks off at 9.00am. Our Mini Soccer training returned on Monday 7th January after a break for the Christmas Holidays and continues every Monday from 6.00pm – 7.00pm at the Red High 3G Pitch. This training is for children born in the following years 2009, 2010 & 2011. Players are asked to dress for the weather, wear football boots and shin guards. All old and new players are welcome. For more information contact Paul Moore on 07549 661772.